The microbes in and on your body are more numerous than the stars in the Milky Way. Clump them together, and they weigh about as much as your brain—approximately three pounds. Microbes—the term used for organisms that are too small to be seen with the naked eye—have often been seen simply as “germs” that cause disease. Yet contrary to this common misconception, most of the microbes that live in your body are vital to keeping your digestive system, your immune system and even your brain working properly. 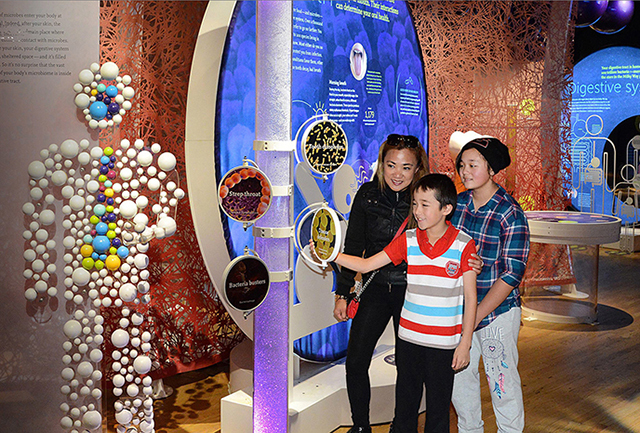 Open Oct. 22, 2016, through March 12, 2017, at the North Carolina Museum of Natural Sciences in Raleigh, N.C., Secret World Inside You uses larger-than-life models, computer interactives, videos and art installations to explore the rapidly-evolving science that&apos;s revolutionizing how we view human health and understand the inner workings of our bodies. Our bodies are home to many trillions of microbes living in and on us, including bacteria, viruses, fungi and other organisms collectively called the "human microbiome." In any individual, microbial genes outnumber the genes in human DNA by more than 100 to one. Your body also contains more microbial cells than human cells—a new perspective that is changing and complicating our view of ourselves. Investigating the human microbiome is a very young science, and researchers are just beginning to understand what constitutes a "normal" microbiome, how it changes over time and how it affects health and disease. But what&apos;s clear is that the effects of the microbiome on its human host are profound and multifaceted—and could play an important role in common health problems like allergies, asthma, obesity and even anxiety and depression. How do your interactions with microbes—from the type of environment where you grew up to the number of times you have taken antibiotics, which destroy both bad and good bacteria—influence your health? In what ways can your microbiome be said to be its own organ? And is it possible that the state of the bacteria in your gut plays a role in your mental health? 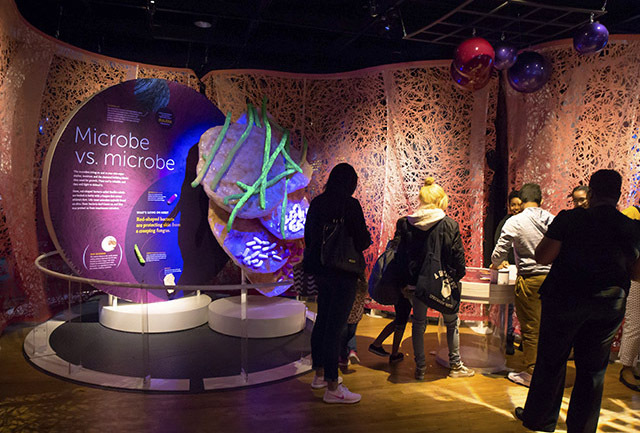 Secret World Inside You dives into these intriguing and other profound questions through an interactive tour of the human body, making stops at places where microbes thrive, like your skin, your gut and even your armpits. Your skin covers about 20 square feet, making it the largest organ in your body, and microscopic organisms cover it from head to toe. From the point of view of a microbe, your skin is like an enormous continent, with resources that vary dramatically from one region to another. Differences in skin temperature, texture, thickness, humidity and chemistry help determine which kinds of microbes live where. Your digestive tract, or gut, is home to about 99 percent of your microbiome. Very few bacteria can survive in the acidic environment of your stomach, but they thrive in the small intestine and large intestine, where most digestion and fermentation of food takes place, respectively. The microbes here help with digestion, immune regulation, disease prevention, healing and protecting your gut lining, appetite control, brain development and even emotion. Julie Horvath, head of the museum&apos;s Genomics & Microbiology Research Lab, is a comparative evolutionary genomicist interested in understanding the evolutionary forces that have shaped primate genomes and that impact health and disease. She (and colleagues) initiated an armpit biodiversity project to identify the microbes that live under primate armpits. Since animal "fragrance" is partially determined by what is under the armpit and it is the microbes living on skin that produce body odor, this has implications for mate choice and has exciting evolutionary implications. Her team recently swabbed armpits from a variety of non-human primates to compare to humans. Citizen scientists have also helped explore some of the factors affecting microbe biodiversity, which may be dictated by the deodorant or antiperspirant used and the type of soap and water used for bathing. These studies have implications for our health and wellbeing, as well as our understanding of what constitutes a "healthy" skin microbiome. Horvath&apos;s work will also be featured in the exhibition. Secret World Inside You is organized by the American Museum of Natural History, New York (www.amnh.org). 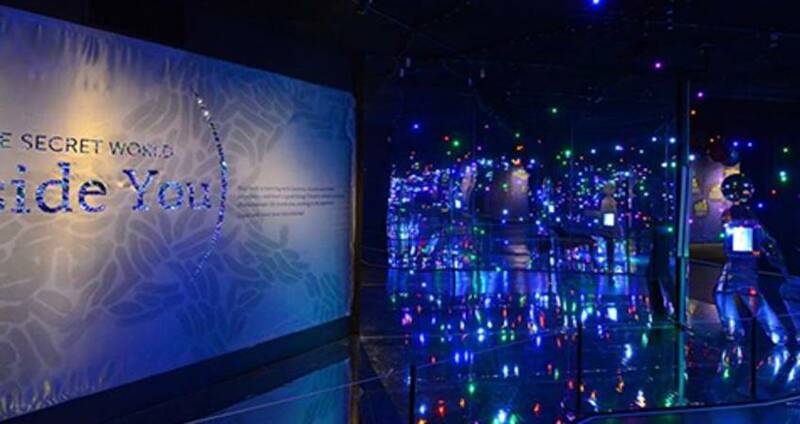 The exhibition was co-developed by Susan Perkins and Rob DeSalle, curators in the American Museum of Natural History&apos;s Division of Invertebrate Zoology and the Sackler Institute for Comparative Genomics. The exhibition is sponsored by UNC REX Healthcare and the North Carolina State University College of Sciences. Plan your trip to the exhibit today: get tickets here or at the museum box office, onsite or by phone at 919.707.9950 (admission to the museum is free and there&apos;s a small admission fee to get into the special exhibit).